Looking for a good lawyer for your motorcycle accident? Motorcycle riding brings unique risks that simply don’t affect drivers of automobiles. A rider can minimize damages by following requisite safety procedures like wearing a helmet and obeying the speed limit, but that doesn’t mean other drivers respect your safety. A sudden lane change, a quick right turn on red, and suddenly all the safety parameters in the world don’t mean much if the other driver is negligent. 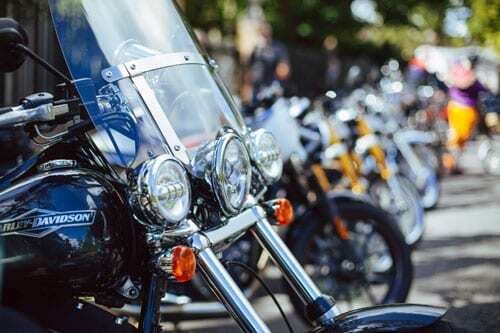 If you’ve been involved in a motorcycle accident, you owe it to yourself to hire someone who’s seen what you’ve been through and has won cases similar to yours. With an overall success rate of over 98%, we know what we’re doing. How Much Is My Renton Accident Case Worth? Who was at fault and what was their level of negligence? What is the extent of your injuries and could they have been prevented with the negligent party’s proper adherence to safety regulations? What are the limits of each party’s insurance coverage? The answers to these factors and many more allow us to aggressively pursue your case to the fullest extent of the law. It’s also vital that every one of your damages is documented. Without a record, it becomes next to impossible to properly claim a financial loss. Things like medical bills, pay stubs and income tax returns that prove lost income, and various other receipts that show the economic toll an accident has taken are all essential in getting you the compensation you deserve. The best part is that we offer our services on a contingency basis, which means that we don’t get paid until you do. We promise each of our clients that we won’t take a fee unless we earn you compensation for your accident. A serious motorcycle accident caused by another person’s negligence deserve recompense. Contact the attorneys of the Bernard Law Group today to get started.